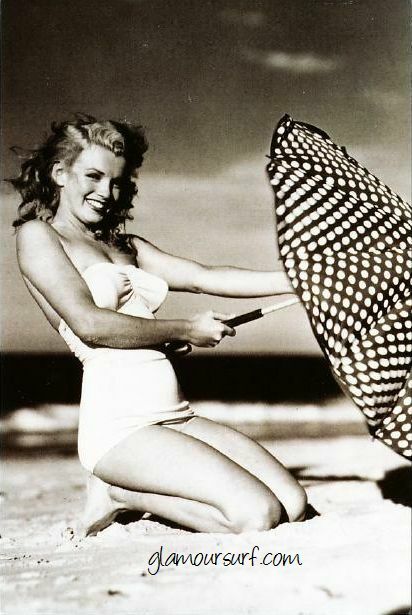 Lovely Marilyn Monroe shot in the mid to late 40s. I do believe these were taken on the same location, one is black and white, one in color. Which is your favorite? I'm kind of partial to the black and white myself. She looks so young, innocent and lovely all at the same time. Happy Monday all! 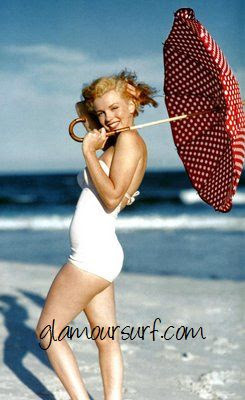 love the pictures even her polka dot umbrella is so pretty! !